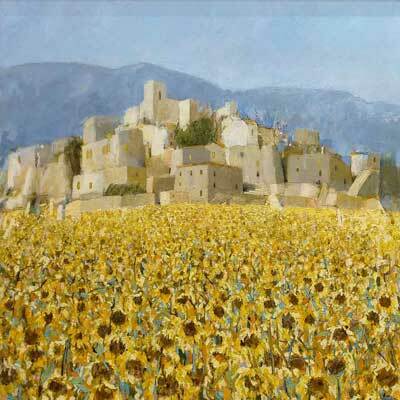 Hazel Barker started her career at the age of eleven, when she won first prize in a national painting competition, and her headmistress commissioned a painting for her ancestral home in Scotland. Hazel went on to study art at Reigate and Guildford Schools of Art and, on graduating, painted portraits on commission. One of these portraits was of a member of the Government and his dog! 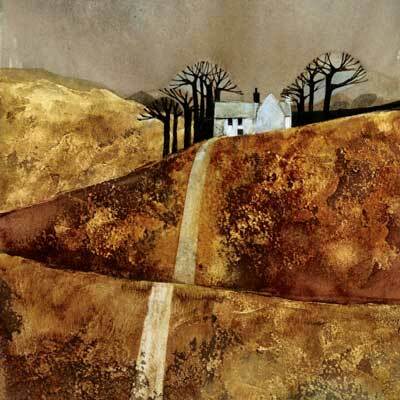 She now lives in Sussex, creating both representational and semi-abstract paintings, many of which are based on her travels in France, Spain, Ireland and Italy. 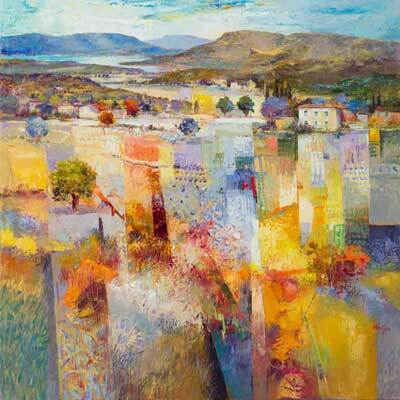 She particularly enjoys the excitement found in the strong patterns, colours and tones of the Mediterranean landscape. 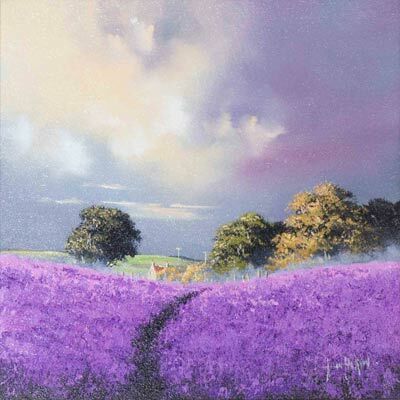 Hazel has exhibited her work at numerous galleries including the Mall Gallery, London, and in Chelsea, Chichester, Guildford, Petworth, Tunbridge Wells and Brighton. Her work is also to be found in private collections in the UK, the USA, Norway, Sweden, Spain, France and Holland. 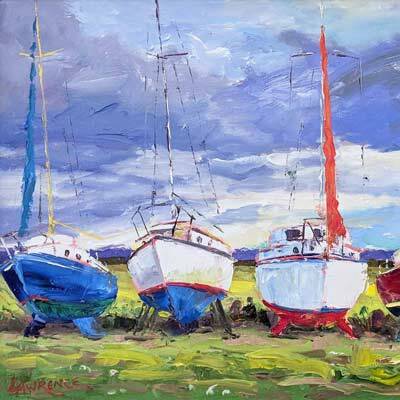 Hazel’s work has been collected by such household names as the presenter Michael Aspel OBE and most recently one of her pieces is ‘on set’ in the latest production by the producer of La La Land, Jordan Horowitz.